Hosted VoIP is simply a telephone system housed in the Cloud. This means no more clunky phone system in your office. You simply manage the system through a web interface or a mobile app. When you make a call, you make it through your Internet connection. And because a third party hosts your phone system for you, there’s no need to pour hundreds of dollars into regular maintenance or upgrades for your on-site phone system - it’s all managed for one low monthly rate. If all of this sounds too good to be true, it isn’t. Let’s take a closer look. Traditional phone systems are quickly getting replaced by hosted VoIP solutions. One big reason for this is because the benefits are so attractive. They also make sound business sense. Perhaps the most significant advantage to having a hosted VoIP system is the cost savings. Unlike in-house phone systems, you don’t have a massive up front investment to kick off your contract with a phone company. Getting set up is easy and inexpensive. Hosted VoIP monthly plans also tend to be more affordable, considering you already pay for your Internet connection. By adding hosted VoIP, you’ll lower your monthly costs by tapping into the service you already have and using it to secure a reliable, less expensive phone system. Do you have plans to move to a new office space? Are you ready to expand your business to a new facility? Or, do you just want the ability to take your business with you while you jet around town to meetings and client calls? No matter why you’d like the capacity to answer your phone away from the office, it’s possible with hosted VoIP. 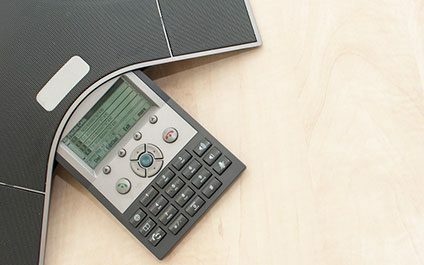 Have the best of both worlds by having your desk phone, and mobile all in sync. To access your entire phone system, all you need to do is download a mobile app to your smartphone. Then, you’re equipped to pack up and pick up your telephone system every time you leave your office. Without the traditional phone tying you to your desk, you’re able to do business on-the-go with ease. Change can be scary for many business owners. It often comes along with a mess and a period of readjustment. With hosted VoIP, that’s not usually the case. Unlike switching from one traditional phone carrier to another, you don’t have to uproot everything to make the change. You might not even have to replace your current phone. VoIP is extremely versatile, which means you can add it to your mobile devices and your traditional phone hardware. You can choose to answer calls on your traditional phones in your office through the VoIP system. There are VoIP adapters and applications that you can easily install to make this transition seamless. You can also change your plan easily, adding or removing users as your business requirements change. With a hosted VoIP system, you’re able to get the same features you’re already using in your business, such as caller ID, 3-way calling, call forwarding, call recording, call logs, on hold functions, and more. Auto Attendant: An auto attendant or an automated receptionist to take and direct calls. Remote Management: The ability to remotely manage your phone system from a distance via a computer or login portal. Call Conferencing: A more robust version of your classic 3-way calling. Efficient Client Interaction: You can choose where your calls ring and how. For example, you can have the first few rings directed to your office, and if no one answers there, have the remaining rings redirected to your mobile phone or laptop. VoIP is one of the most versatile types of technology available on the market today. With the consistent demand for professionals to be available anywhere and anytime, this technology isn’t just a nice-to-have – it’s a need-to-have. We can help you start saving money while having the ability to do more business on the go. Reach out to us to talk about how VoIP can help your business do more for less.